View cart “UF1microfx” has been added to your cart. We wanted to create something that doesn’t require the use of a computer, and brings immediacy and easy of operation in this upcoming technology. By stressing the capabilities of the Neurosky MindWave Mobile headset, the BI1brainterface is developed to connect your mental status to your gear, in the most easy and open way possible. Whenever you have an analog modular synthesizer or a MIDI sound generator, you can influence on sounds, sequences, timbres and drive the performance with an added controller, the most sophisticated: you. Attention and Meditation are the most ‘robust’ and repeatable variables that you can count on. But also the EEG power spectrum bands (Alpha, Beta, Gamma, Delta and Theta) are available to control other eight sound/light/video characteristics. As a bonus, we put in your toolbox a variable threshold to generate a ‘trigger’ based on your facial muscular activities (i.e. blinking or grin). In the studio or in a live environment, weared by a dancer or an actor on stage, or just use it to relax yourself and raise your self-consciousness about focus, relax and meditation. Bio feedback is another field of operation for the BI1brainterface, reaching applications such as the several described above and more. 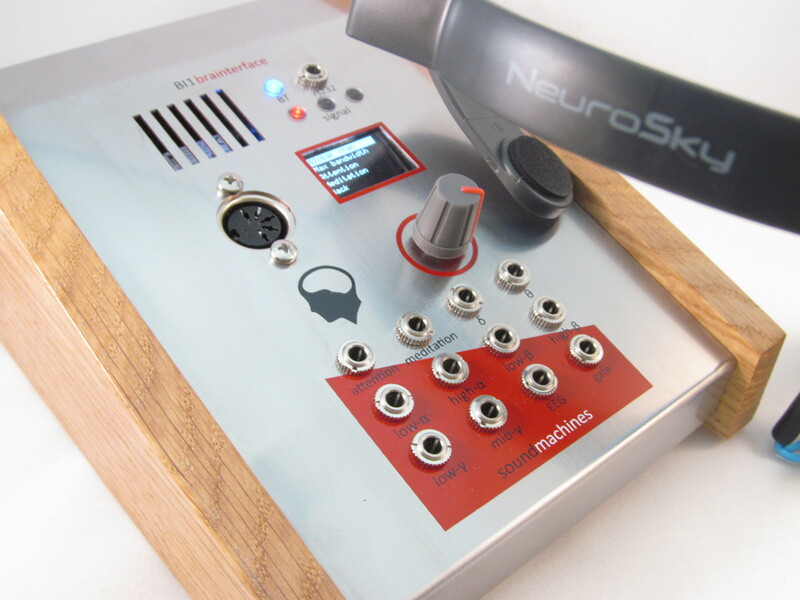 Available in both eurorack and desktop versions, you can buy it now in the shop.